There was a time in the United States one had to travel great distances to find good beer. Thankfully, those days seem to be behind us. I’ve found plenty of examples of local and regional brewing excellence in places like Logan, UT, Modesto, CA, Las Cruces, NM, and Fort Myers, FL. None of these places would be one anyone’s list of beer destinations. Yet, the beers at these places all have their unique identity, whether brewed with local ingredients or with some unique twist. So when Our Tasty Travels asks us to list our up-and-coming beer destinations, I’m tempted to answer by jumping up and screaming “EVERYWHERE!” Instead, I hope you’ll forgive me as I talk up the place where I live, the Silicon Valley, as a beer destination you should check out. It’s not as if there haven’t been any good breweries here. Places like the Tied House, Faultline Brewing, Los Gatos Brewing Company, and El Toro have all been cranking out good stuff for over a couple decades. Gordon-Biersch, the ubiquitous chain of brew pubs and beer originated Palo Alto in 1988, the same place Hewlett Parkard started from a garage in the 1930’s. The Gordon-Biersch production brewery is located smack dab in the middle of San Jose. 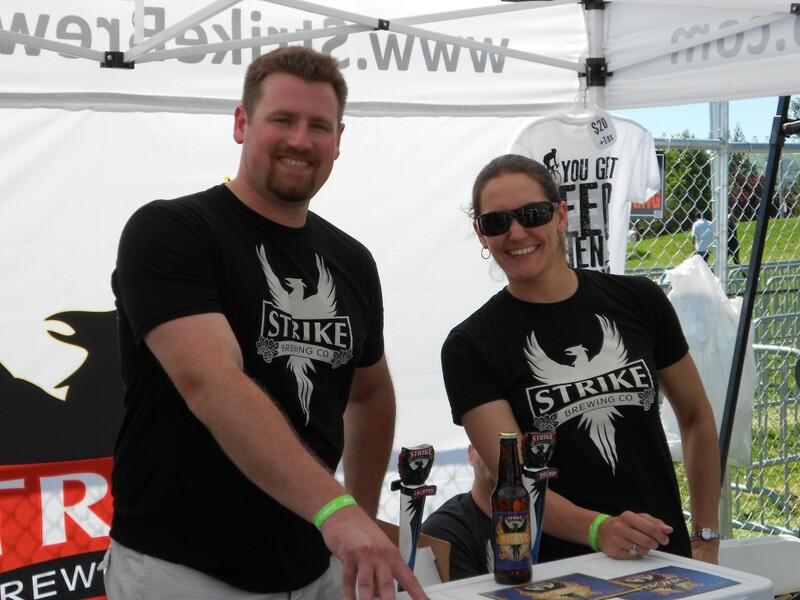 Other breweries like Rock Bottom Brewery, Campbell Brewing, Firehouse Grill & Brewery joined the fray a years later winning awards and a few Great American Beer Festival (GABF) medals along the way. Still, the Silicon Valley long suffered comparisons to the thriving San Francisco and Oakland area brewing scenes. Even as little a seven years ago, the place to go for the best beer selection in the Silicon Valley was arguably a wine bar called “Wine Affairs”. But that’s changing. In just the past few years plenty of bars and restaurants have emerged to serve a wide variety of brews to meet eclectic tastes. I’m talking about places like Original Gravity, Harry’s Hofbrau, Good Karma, Liquid Bread, and Spread which have either recently emerged, or transformed themselves into places to go to find great beer. I’m sure I’ve left out a few other places. However, the most encouraging trend is that by mid-2015, four new Silicon Valley breweries will have opened tap rooms in the last two years in the same gritty industrial section just south of downtown San Jose. All four of those breweries has it’s own to tie to the Silicon Valley’s unique culture. 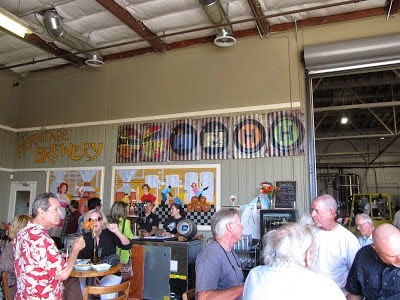 The first to build and brewery and tap room was Hermitage Brewing, a production brewing venture of Mountain View’s Tied House in the summer of 2013. In addition to producing many fine brews of their own, Hermitage stealthily brews beers for several breweries under contract. You might say Hermitage is the Flextronics of Northern California brewing, the contract manufacturer that builds many of the world’s fancy electronic gadgets. The most interesting Hermitage brews, at least to me, are in their single-hop IPA series. Every two or three months, Hermitage releases a single-hop IPA, often brewed with some hard to find varietal of hops. Each beer is brewed the same way, the only thing that changes is that hops. It’s a great way to directly taste all the latest innovations in hop cultivation. Next up was Clandestine Brewing, which opened a tap room last May. It’s always fun to see what they have on their 12 taps, because it always changes and there’s always something new. You’d expect that from a brewery founded by four homebrewers who brew only on the weekends. That’s because their weekdays are spent writing code for various Silicon Valley software companies. 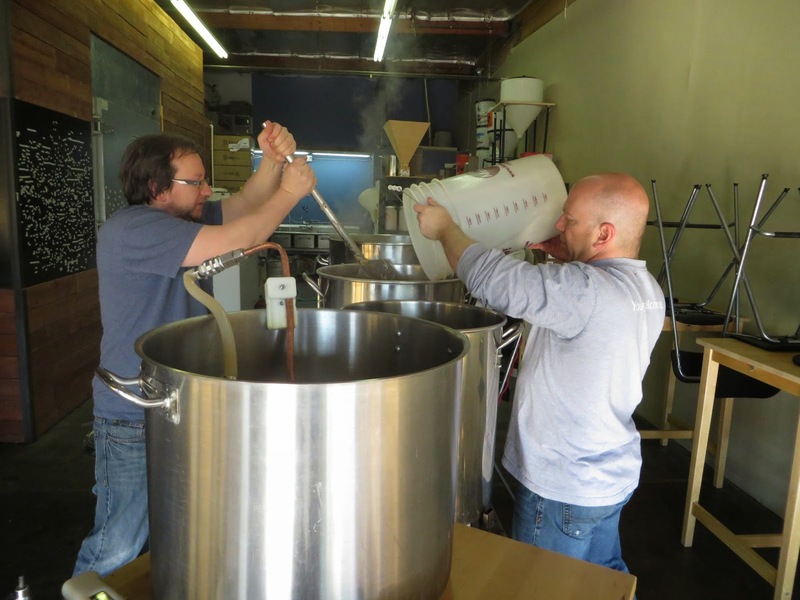 And in the middle of this year, Santa Clara Valley Brewing (SCVB) will open their own brewery and tap room. 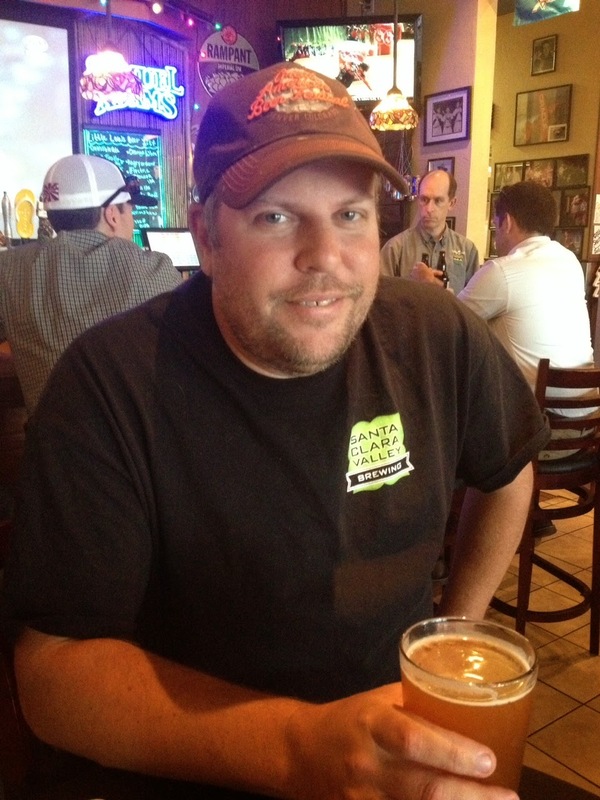 Everybody knows SCVB Brewmaster Steve Donohue, who won four GABF medals during his time at Firehouse Grill and Brewery. When Firehouse made a curious business decision de-emphasize its beer and transform itself into a Hooter’s knock-off, featuring nubile waitresses scantily dressed in tight t-shirts and short kilts for the sports bar crowd, Steve decided to leave after a couple years of that. Soon after, he formed SCVB with Apple Computer executive Tom Clark. SCVB quickly established their tropical Electric Tower IPA as their flagship beer, and Electric Tower tap handles started popping up all over the San Francisco Bay Area. One thing the Silicon Valley is not, is San Francisco. San Francisco is a beer destination which needs no introduction with it’s undeniable vibrant brewing culture. Just don’t go there if you want a simple wheat beer or brown ale. The must be some law that states any wheat beer in San Francisco must have some unusual fruit like guava or olallieberry in it. Any brewer up there who can be bothered to brew a brown ale can’t resist adding Peruvian cocoa nibs to it. Thermo-nuclear IPA’s and Belgian-style alcohol bombs take up 85% of any given tap list. But then, San Francisco has never been about restraint. The Silicon Valley has long been about execution, collaboration, and innovation driven by logic. You’ll find that in our beer.